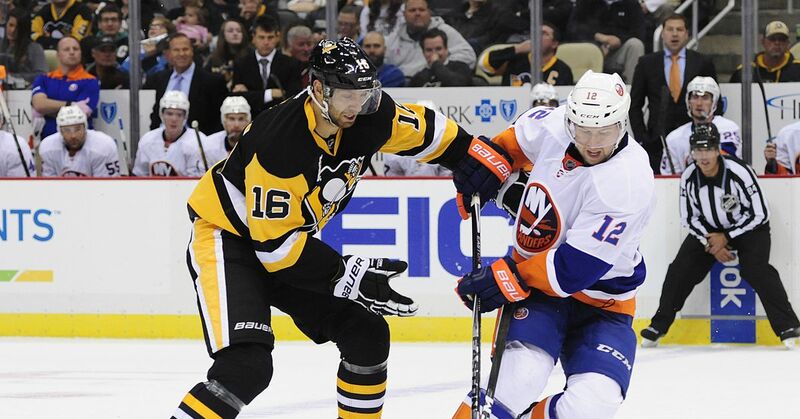 The New York Islanders are back on the road as they renew their rivalry with the Pittsburgh Penguins. The Islanders are looking to right the ship after losing their last game and three of their last four. They come into this one two points ahead of Pittsburgh with the same number of games played. The Islanders have struggled on the road since their since their three game road winning streak as they’ve gone 1-3-1 since then. The last game of that road winning streak was against the Penguins however and they won that one pretty handily by a score of six to three. It was an odd game that saw the Islanders score pretty easily on the Penguins despite getting out shot. Then again, these aren’t the Penguins of yesteryear as Matt Murray, once a Stanley Cup hero, has turned into something of a goat, thus resulting in Pittsburgh having one of the league’s worst delta save percentages. He also hasn’t been able to stay healthy which has forced them to call up Tristan Jarry. Jarry was highly-touted and was taken in the second round, but it’s been the undrafted Casey DeSmith that has essentially taken over the starting netminder’s job; he’ll get the start tonight. Some have been surprised that he’s been able to take the over the starting job but, DeSmith’s issues were never on ice – he was arrested for an incident involving domestic violence, disorderly conduct, and resisting arrest and was ultimately dismissed from the University of New Hampshire after pleading down to a lesser charge of disorderly conduct. No lineup changes are expected for the Islanders tonight. That means that Thomas Greiss will get the start in net tonight while Christopher Gibson continues to back him up. The team has been silent on what happened to Robin Lehner other than stating that he tweaked something. He did travel with the team which points to him returning on Saturday against the Detroit Red Wings since this is only a two game road trip. He was practicing earlier today according to reports. Robin Lehner on the ice working with goalie coach Piero Greco and extra defenseman Luca Sbisa. F Ross Johnston the other extra skater for #Isles. With the exception of the backup goalie and Andrew Ladd, the Islanders are essentially at full health. The Penguins have some injuries at centre with Dominik Simon and Matt Cullen on the shelf, though the latter injury probably helps them as Cullen has been quite abhorrent all season long. They’re also without right-handed defenseman Justin Schultz and they could really use him as Jack Johnson has really fallen out of favour with everyone in Pittsburgh; Johnson carries a relative xGF% of -8.3% coming into this one and has been on the ice for 27 goals against in five-on-five play in just 26 games – that’s the sixth highest total in the NHL. He’s also been inept offensively with just one primary point in five-on-five play and has been on the ice for 14 goals four which gives him the second worst goal differential of any defenseman in the NHL this season (only Brandon Manning is worse). Look for the Islanders to try and capitalize when he’s out on the ice. Game time is at 7:00 P.M. E.S.T. Brendan Burke and Butch Goring have the call over on MSG+.